Bella Blvd Estate Sale & a giveaway!! Hello bright, funky, make-me-wanna scrap "Estate Sale" collection. Bella Blvd has once again delivered a diverse fresh collection of double sided heavy weight papers with coordinating cardstock weight stickers. 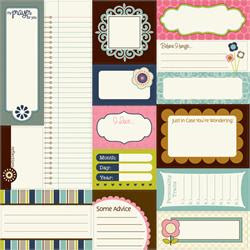 The collection includes 6 doubled sided patterned papers and 4 different sheets of cardstock weight stickers ranging from alphabets, to journaling spots, to embellishments. This collection screams "abandon whatever you are doing and SCRAP ME RIGHT NOW!" All product Bella Blvd Estate Sale except pink felt, button and flower all of which are misc. The GREAT variety of cardstock weight stickers. The font of the cardstock alphabet stickers that came in the "Alpha + Bits" sheet. All the great strips, accents, words, flowers, etc. on the "Bits of Bella (Estate Sale)" paper. The wide RANGE of designs and colors in the collection. Have you had the please of working with this (or any of the other AMAZING collections) from Bella Blvd.? What have you made or what are you just dieing to create? We love to hear from you! Leave a comment by noon EST Tuesday to be entered to win a Bella Blvd Estate Sale prize pack!! I have not had the pleasure of working with Bella? But, I would love to give it a try! I think I would scrapbook some pictures of my twin sister and myself when we were little. Now that I have a granddaughter and she is coming home from Italy next month and we will see her for the first time (plenty of pictures will be taken) I have lots of ideas for photo opts and LO growing through my head right now. Need to concentrate on work though. Thank you for doing this review. I think I would use it for some pictures of my 12y.o. daughter. Those colors are fabulous! They would be perfect to scrapbook some images of my 3 1/2 year old daughter in some of her outfits she had this past fall! Thank you for the chance to win some great products! Such a fun line! I love Bella's alphas. I have not worked with Bella Blvd before. But I am liking what I see with this line. I like all the colors that were put together. I like your layouts and card. I don't think I have ever used anything by Bella but I would sure like to give them a try. This is just beautiful! Love those colors!! Wow! I love me some Bella Blvd! It just makes my scrappy time much happier! I'd love to win! I love Bella stuff. I got a few sheets of their new release Man of the House las month in one of my kit clubs...and it is FAB!!! I'd love to pick up that whole set and this Estate Sale set as well. Their papers seem to be verstile and just plain cute!!! Hi! I have not worked with Bella products before. But I love the Estate collection of papers. I am working on a family album for my twin sister and 2 brothers. I would love this paper for the pages of my sister and I.
Bella has some amazing designers. And I really want to make a decor bird house for my mantel. I need to find the base and these papers would be terrific! The paper looks great! Hope my LSS will carry it! I don't think I've had the chance to scrap w/ Bella, but this line may be my first purchase for sure! Gotta request it at my LSS for sure. My LSS doesn't carry Bella Blvd so I might have to go online and see if I can get my hands on some of this goodness! Sweet layouts! I love the colours in this collection. I've never tried any BB papers but they sure look yummy! I've been waiting to try some Bella Blvd supplies! Love the colors in this line. First of all, your projects are beautiful!!! I would love a chance to work with Bella Blvd., I love the Estate Sale line but have not had a chance to work with any of it yet. It is simply beautiful! I haven't had the pleasure of working with any of the Bella Blvd collections but would love to try it out and make some scrap pages and cards. It looks lovely. God bless! 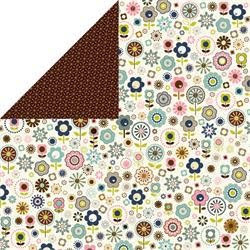 Love this line and am dying to make a minibook using it! I love the round layout! I have to do one of those sometime! 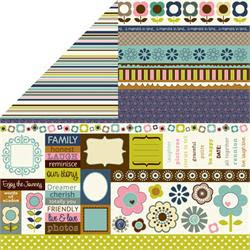 I love these papers, fun for cardmaking and scrapping! Great line! Love all of it so much. Never had the pleasure of using Bella products, but will definitely go look for some now! I would love to scrap stuff from childhood and some with my cousin and me. Thanks for the chance to win!! I seriously love Bella Boulevard but their stuff is not sold everywhere, so it's thrilling to have a chance to win, wow! that would be so so so amazing!! I dont' know if i have seen their stuff before but LOVE IT. Esp. love the round layout. Thanks for the chance. Cute examples!! I'm a big fan of their alphas/cardstock stickers! I really like Bella Blvd. 's stuff in general! They use great color combinations and their patterns are easy to use! I have not seen Bella Blvd at the LSS, but now that I see this line I must get me some...fast. I love the Nana's Apron and Coin Purse so much, and those flower prints would be perfect for my magnetic calendar I'm going to start. I love estate sales in general and this one I definitely would not pass up. I haven't used it, but I have had my eye on some! This collection looks like fun! Love the colors! This is a really cute line! It's versatile enough to use for huge variety of projects. Thanks for the chance to win! I'm not familair with Bella, but the papers look pretty. Beautiful stuff. Thanks for the chance!! Great patterns and colors. I would love to try working with Bella. Dona't have it--but I love it! Love the look of this collection. I think it would be great for scrapping both male and female themes due to the mix of colours. This line is super-cute! I've been able to do a couple of layouts with Sweet Celebration and Camped Out, and I was really happy with how they turned out! 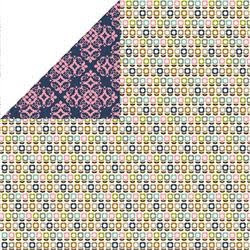 Lots of great patterns and colors, and the bits a' Bella are my fave because they make great accents for layouts OR cards! Thanks so much for the chance to win some Estate Sale goodies! I've used some Bella Blvd super stud, which was perfect for my DS. This collection looks nice, though more girly. It would be great for LOs of my nieces. Thanks for the giveaway. 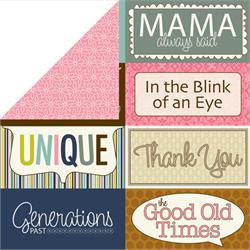 I love this line - I would make a mini album for my mom for mother's day! I would love to try this out...seems absolutely wonderful! I have loved every collection from Bella Blvd I've seen, and this one is no exception! 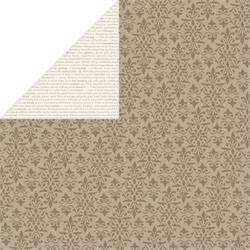 I haven't been able to get my hands of this line but I have seen a few sheets of their collection Man of the House and it is wonderful!!!! I haven't been able to complete the layout but I have some great guy pictures to complete! What a perky collection. It is so cute. thanks for a chance to win. Every collection Bella comes out with I fall in love with and this is no exception. It went on my wish list as soon as I saw the CHA sneeks, love the color combinations and can't wait to get my hands on some. I've never seen any of this brand, but I love it! I have not worked with bella blvd before, but the name Estate Sale has definately got my attention. Looks like a great collection. I like this collection - it seems like it'd be really usable with the two sided papers... Those are the ones that you sometimes wish you'd have bought two of each!! I have used some of their papers, but I don't remember the line name - my local Scrapbook store had it in their monthly kit - fun, fun, fun!!! I haven't been able to find their products locally-but I'm am loving the color mixes! I love the variety of patterns and colors-looks just up my alley Thanks for the review! I haven't used Bella Blvd, but I should like to try! It looks great. I havent tried bella blvd..but i love what you did with them & i'm not sure if my lss carries them !! The only Bella Blvd I've had the pleasure to use is random parts that have been in kits. I have been really impressed by the colors used and that the themes are not overly "Theme-y" Very nice collection!! I've never even heard of Bella Blvd. before. But I love it when companies do cardstock-weight stickers, and double sided paper always gets my vote - if you don't care for one side, the other will be usable. Very classic colours in this line as well. I love Bella Blvd. I've been lucky to receive it in some kits. I'm dying to make a three generation scrapbook page with this collection! Beautiful collection, love the flowers!! I'm dying to create some spring layouts to go along with the wonderful spring days!! This line looks absolutely gorgeous! I have 3 girls and would love to scrap some layouts of them with these papers! Annie your pages are gorgeous! I'm working with this same line at the moment in a DT kit, and I love all the elements in the sticker sheet and cardstock sheet. I too though would've liked some solid colours on the reverse as I found only white or kraft cardstock worked with the papers. What a great collection. It seems to be pretty versatile too which is always a plus! I would love to make both cards and pages with this. I cant recall using anything by Bella, but I think this line is adorable! Would be perfect with pages for my only daughter (1 year old) after having 3 boys! LOV LOVE this line. My favorite from ths line is the sheet that you can cut from all the different elements to embelshish. Bella Blvd has the stuff together. Love your papers! I have heard of and seen Bella Blvd online but NEVER in person. I would LOVE to win this line. The papers look beautiful!! Nice line that could be used in alot of ways. like that it is not too cutesy.